Dan Leavy will miss the Rugby World Cup in Japan later this year after he suffered a serious knee injury in Leinster’s Champions Cup semi-final win over Ulster on Saturday evening. The Ireland flanker suffered a a ‘complex knee ligament injury’ and faces a long road to recovery. 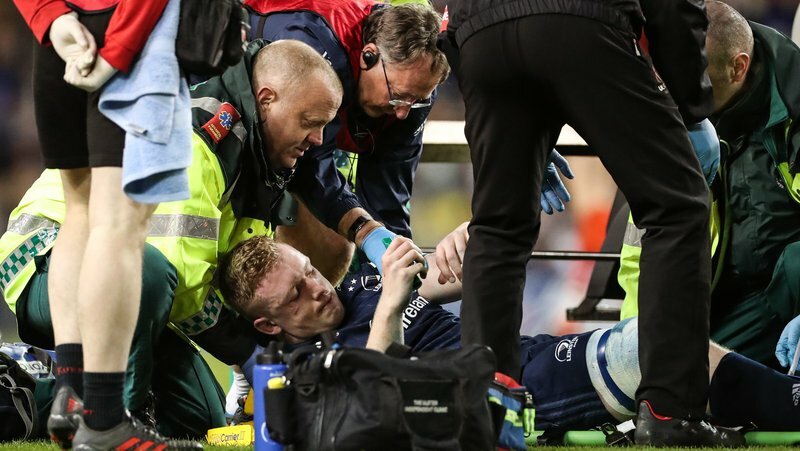 Leavy sustained the horror injury in the 61st minute of Saturday’s encounter at the Aviva Stadium, shortly after coming on to replace teammate Sean O’Brien.